Peridot was earlier named Chrysolite. 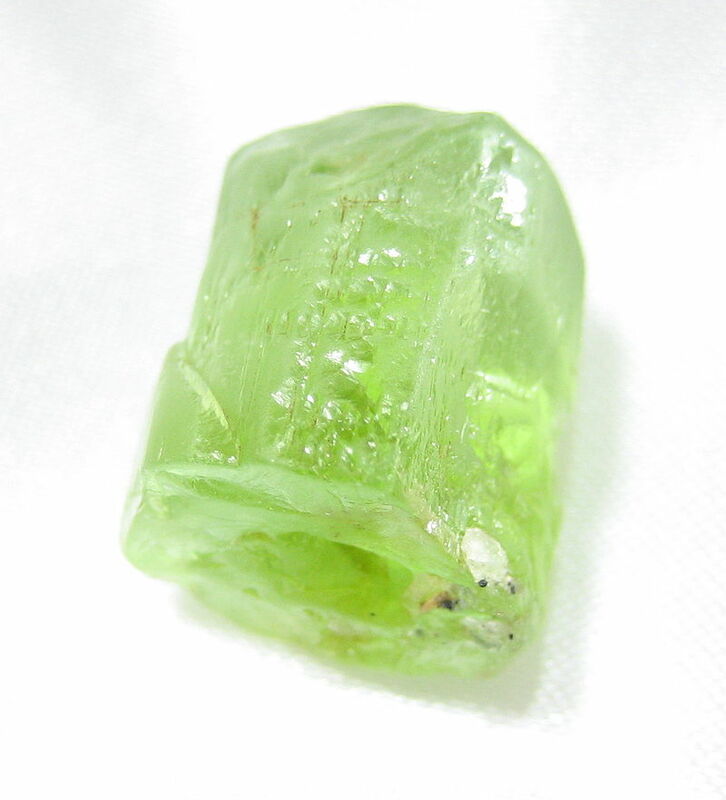 Chrysolite has confusingly also been used to name other stones and this name has hence been abandoned. 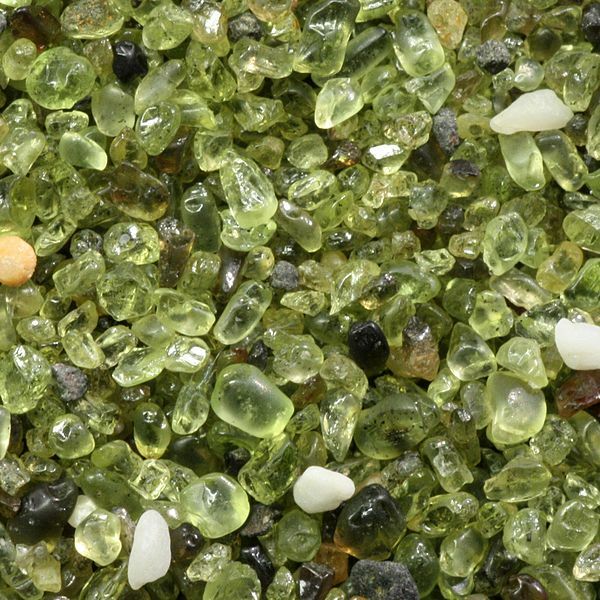 Peridot is the crystalline part of the stone Olivine. 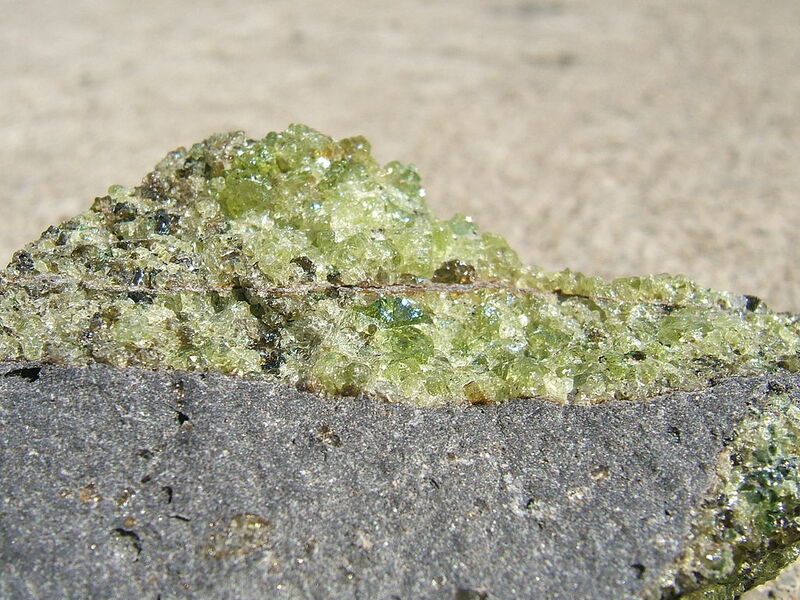 It is a green stone a Silica dioxide with Magnesium and Iron content. The old Egyptians got it from the island Zagbargad, (also called Topaze or St John´s Island). And the stone was often confounded with the more famous green gemstone Emerald (We explored emerald in the spring 2015 – read here). Peridot has also been called Evening Emerald and Crusaders Emerald, since the crusaders brought it back with them. The holonistic exploration of Peridot revealed its fine qualities and subtle nature. It has a lightness that brought us into a state where the hold of gravity and the earth felt like it disappeared. It felt like this heaviness called gravity swiftly evaporated and was instantly gone. Peridot lifted us up to a higher state where we felt nothing material holding us back or restricting us. This was a state where each of us merged into a higher unit, a higher whole, a higher holon. Peridot created a state where nothing anymore was isolating us or making us feel estranged from this higher unity. We were left with a peaceful energetic feeling of acceptance and presence. The lightness in Peridot also easily dissolves what holds you down or keeps you stuck in the past, it makes you let go of the past disagreements, making it easier to move on. If you purchase expensive things Peridot might even leave you with a feeling that it was completely unnecessary, or even like you regressed back to the material world. What is not real, in the sense of being close to the source of creation, coming from the spiritual inner life becomes unimportant or even meaningless under the influence of Peridot. Through this connection with the real source Peridot helps you to see the limitations in the ordinary perspective most people have in the modern world. It makes you question materialism, the academic approach, the flat digital world, or any other superficiality. Modern research seems to have become a golden calf, a new religion, a scientism. The struggle towards objective truth has resulted in a chaotic cacophony of fragmented facts. To make sense out of them, you again need to introduce the subject. Let me explain. Take a substance like coffee and look at all the research you can find, and ask yourself if you got much wiser? Ask if there are other ways of knowledge that would give you a deeper understanding of coffee? (This blog is dedicated to exploring one such approach, the holonistic way to knowledge). In the modern world experience has lost its value, it is subjective. But if you collected the experience of 20 people drinking coffee, you might get as valuable information for the importance of coffee to your life – I promise to write a blog on that. If you experience the deeper state, the real state that Peridot takes you too, you have to use your subject and you realize the limitations of any objective approach. The original real world has lost its value for many people today. In cyber you can fly and transform things. You are a flat-screened magician. Many people and particularly young people are lost in the cyber world. (Read more here Which world are you living in?). Peridot like all gemstones connects you with a deeper reality, a fundamental energetic state, that has been called the world of fire, or Atziluth by the Kabbalists, it is a region of reality where creation is constantly created and sustained. If this region stopped emanating all the rest would disappear according to Kabbalah. It is a region of such stability that from the earthy perspective, past, present and future seems unchanged. This is reflected in the gemstones. Many gemstones have this ability to connect you with this realm were you realize that the future to come is already there in the past and the present. You reach a realm were you are in a state like a crystal lattice were all direction are just repeating the same. You just are! There is no change or causations or motion here. It is just pure being. In this state, possessions, academic knowledge or flat digital reality are all extreme reduction and illusions and become thin as paper, superficial, fragmented, short lived and volatile. This explains why you feel the hold of gravity swiftly disappearing. Or why possessions of purchases feels like a regression. It connects you with the future by transcending the limitations of the ego and making an awareness of the group-soul, giving it a place in your life. Making the group soul live in you. Life is alive, life is exchange, and what kind of exchanges you have with other decides what parts of yourself and others you give life to. Giving life to the group soul is acting out the benefit of a bigger whole. Periodot lifts up your exchange with others to a subtle level, where you use the best in yourself, where you give a gentle touch, a lovely smile of support, a gaze of inspiration and admiration of the spiritual aspects of your brothers and sisters of humankind. Peridot makes you aware of the care and love for others, it brings life to the connections with the family, with your beloved, but also broadens the circle of loved ones to include people from the periphery. This also explains how, when conflicts or disagreements are stuck, peridot helps to dissolve, letting go and transforming the situation to create a new future with increased freedom and care by letting go of the small circle and swopping to a bigger where your ego is less important. With Peridot you see the best most spiritual or the potential in others and you approach them with the most subtle and spiritual aspect of yourself. You become a blessing to others under the influence of Peridot, even your gaze carries the blessing of the spirit. If you are stuck, Peridot helps you flow again, it eases bowel movements, digestion as well as the flow of vitality, energy and spirituality. It makes the water flow. With Peridot you flow smoothly and harmoniously through situations that earlier were challenging or kept you stuck. It reconnects you with the original belonging and love to all human kind as well as life on earth and all the beings in the universe. It makes you genuinely understand how we belong together, and hence the connection you now feel is real, truthful and congruent. It takes away any feeling of shame or not accepting of yourself or others, it brings you closer to the truth.